Product prices and availability are accurate as of 2019-04-24 22:35:45 EDT and are subject to change. Any price and availability information displayed on http://www.amazon.com/ at the time of purchase will apply to the purchase of this product. 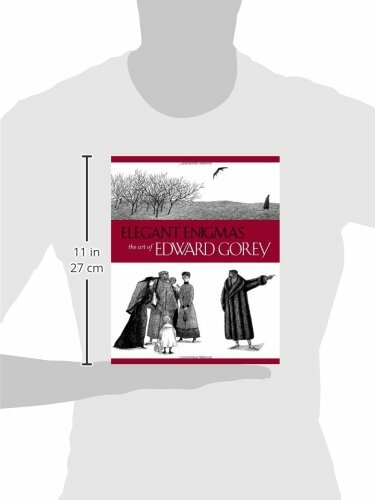 The delightful tales and quick-witted drawings of Edward Gorey (American, 1925 2000) reflect a special kind of genius that resides in the effect of what is left unwritten and unseen. In Gorey s vaguely Victorian world of well-tended gardens and opulent estates, smoke-belching factories and fog-shrouded streets, nothing seems certain or quite as it should be. The probability of chaos lurks just beneath life s tidy surface, occasionally erupting in surprising events with unexpected, perhaps horrific consequences. But when tragedy befalls Gorey s quirky cast of characters hapless waifs, dusty dowagers, scheming tycoons, and unhinged maidens sometimes we are permitted to laugh. Far from being morbid, Gorey simply reminds us to relax occasionally, and contemplate mortality. 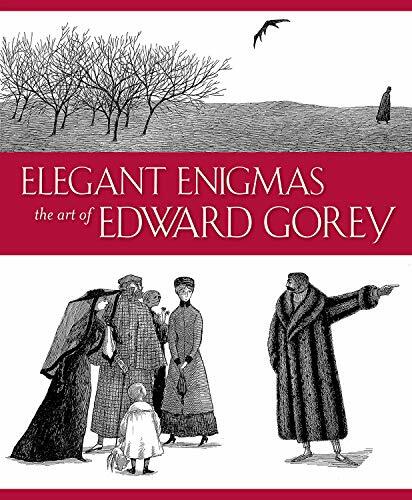 In Elegant Enigmas: The Art of Edward Gorey, more than 175 reproductions offer a rich review of his work, including samples from Gorey s books, illustrations produced for other writers, theatrical sets and costume designs, and a wealth of individual pieces, many never before published. 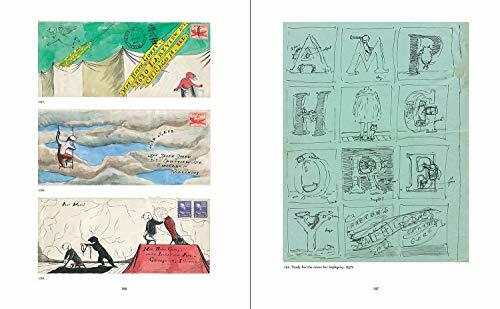 Sketches, typewritten manuscripts, doodles, and musings join the generous selection of finished works, which include his trademark finely detailed ink drawings and watercolors. The text by Karen Wilkin, an expert on Gorey and a friend of the artist, offers an intimate review of his career, with insights that provide a fresh understanding of Gorey s life and work. Published on the occasion of the first major traveling exhibition of Edward Gorey s work, organized by the Brandywine River Museum, Elegant Enigmas is a long-overdue tribute to a master artist and writer, who with sharp intellect and devastatingly wry humor created a body of work singular in its brilliance and charm.